Brought up in Paris, Alawiya Idriss origins are from Grande Comore. After several years spent in France, her parents chose to return to Moroni to participate in the country’s development. Alawiya has chosen to assist them in their task and to do so, has decided to create a hotel school. To help achieve her goal, Alawiya has contacted EHLsmile. In turn, EHLsmile has put together a container of material and equipment for her school, tha nks in particular to the donation made by the UBS St-François. 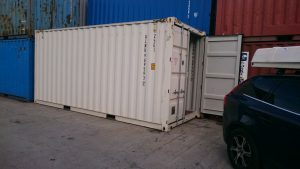 The container is ready to be shipped. We are looking forward to seeing the pictures of its arrival in Moroni. Where are we currently engaged ?